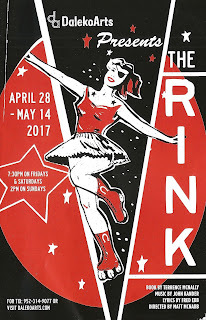 Despite the fact that the original 1984 production of The Rink showcased two big stars (and Kander and Ebb's muses), Chita Rivera and Liza Minnelli, it was not well-received and ran for less than a year, and has never been revived on Broadway. But I kinda love it. 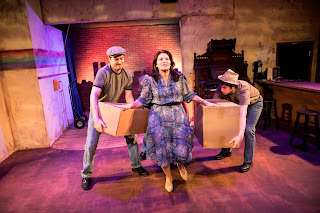 Set in a dilapidated roller rink on a fading east coast boardwalk (think a less classy Atlantic City) in the late '70s, it's full of great songs in the Kander and Ebb style (clever, funny, poignant lyrics, beautiful interesting melodies) with a compelling story about a mother and daugther reconnecting and coming to terms with their past mistakes. And it features two great roles for women (one in her prime), characters that are strong and complicated and create their own destiny. The musical opens with a gorgeous song by Angel, the daughter, waxing nostalgic about the past. We soon find out that the roller rink she longs to return to is being sold by her mother Anna, despite the fact that they both own it. Angel's father Dino, who inherited the business from his father and always felt trapped by it, walked out on them long ago. But Anna told young Angel that her father had died, and when teenage Angel learned the truth, she ran as far away from her mother as her feet could carry her. We learn all of this through flashbacks and memories as Angel tries to convince Anna not to sell, and Anna tries to convince Angel to move on. Who wins? They both do as they finally tell each other the truth and realize that they still love and need each other. The terrific eight-person cast really works together well under director Matt McNabb. 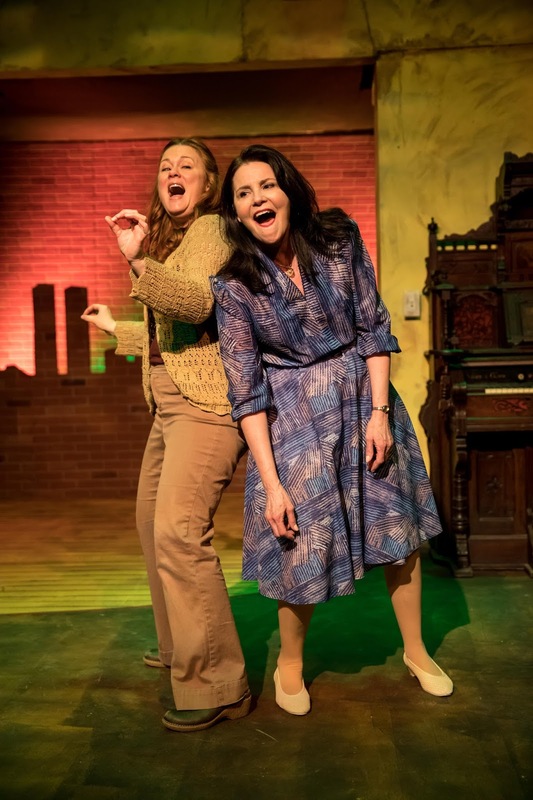 Two strong actors fill the two strong women roles. Karen Weber gives a fierce and vulnerable performance as Anna, and Daleko's co-founder and co-Artistic Director Amanda White matches her as Angel in a believable and layered performance. The two women have a natural chemistry as mother/daughter - fighting, reminiscing about the good old days, fighting again, and making up. The third woman in the cast, young Madeline Sundheim, is adorable and convincingly plays a younger Angel. Remember in that other Kander and Ebb musical Chicago, when Roxie says "I'm gonna get me a whole bunch of boys" as her back-up dancers? Well Rink has that. It's fun and refreshing to see a chorus line made up of men instead of skinny women in skimpy clothing. And these boys are great. They come in as wreckers to tear down the rink, but also play multiple characters in the memory scenes. Bobby Gardner is a lovable jerk as Dino, Tom Karki has the biggest heart as his father, Ben Thietje is sweet Lenny pining after Anna, Armando Harlow Ronconi has a sweet voice we don't hear enough of, and Ryan Lee has the best tattoos and is the most comfortable on roller skates, leading the guys in a charming dance number on skates. In fact all of the choreography is pretty nifty (by Lauri Kraft) and really suits the music and story. The stage is transformed into a tiny but authentic looking shabby roller rink, with lighting cues to tell us when we're in a memory (scenic design by Jane Raine, lighting design by Adam Raine). And the best part about Daleko's small space is that no amplification is necessary; hearing the unmiked singers in that space makes the show feel more real and immediate. They're accompanied by the tiniest of bands, just a keyboard (played by Music Director Anthony J. Sofie) and percussion, that efficiently makes the "thumping oom-pah pah organ sound." 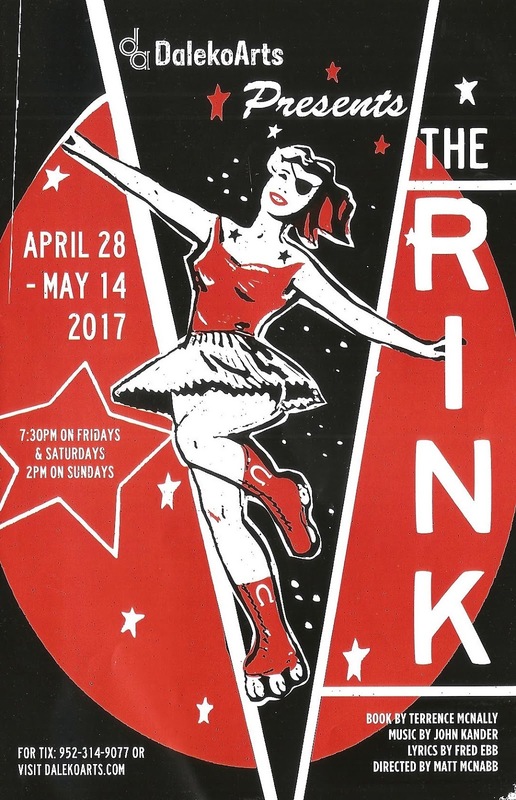 You only have three opportunities left to catch this wonderful production of the rarely produced Kander and Ebb gem The Rink. It's funny, moving, well-performed, and full of fantastic songs by one of the best musical theater songwriting teams. Daleko's just announced 6th season includes more classics, new works, and interesting choices (She Loves Me!) so start planning your road trip now.